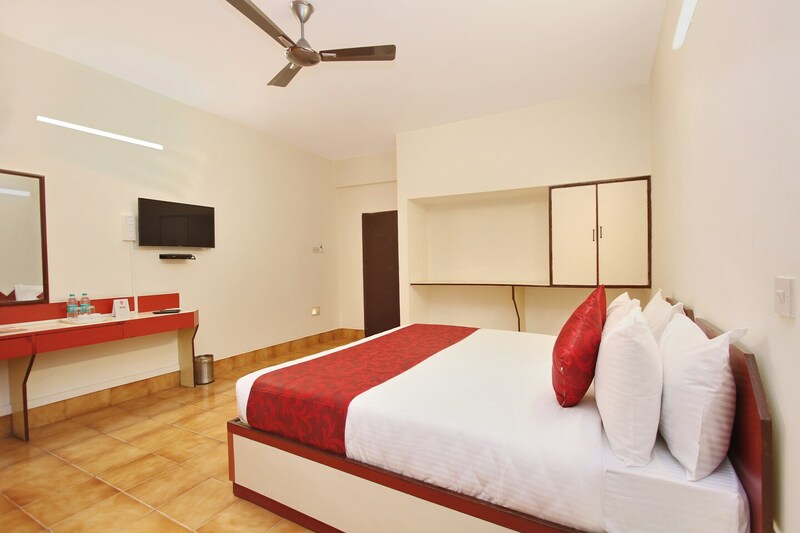 With beautiful interiors, Hotel Telehaus International is a delightful stay. The interiors are beautiful with light colored walls, with a soothing touch of warmth in them. The vibrancy in the room is bolstered by the brightly colored cushions and drapes, complete with two comfortable chairs and a table that makes sure you don't ever want to miss your morning tea and breakfast. The premises are well-monitored with CCTV cameras which adds that much-needed layer of security. Other than the comfort and satisfaction already offered by the hotel, some amenities at the property include free wifi and power backup making sure that your stay here is indeed a wonderful experience.